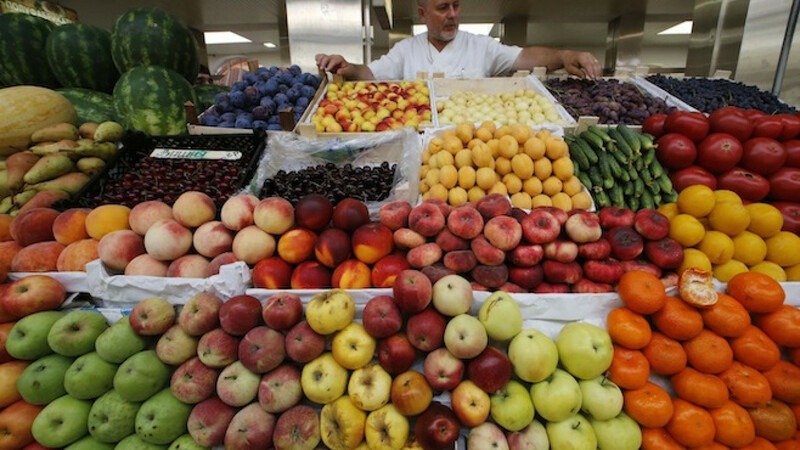 A vendor sells vegetables and fruits at the city market in St.Petersburg, Russia. 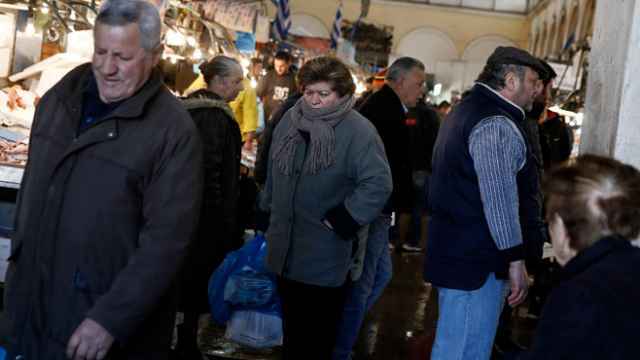 Russia's Economy Ministry has prepared a package of proposals related to Russia's ban on most Western food for tomorrow's meeting of Greek and Russian officials in Moscow, Economy Minister Alexei Ulyukayev told reporters Wednesday. 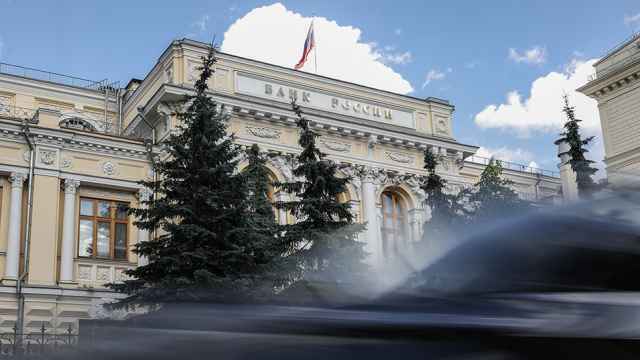 The Russian government could consider removing Greece, Hungary and Cyprus from its ban, imposed in retaliation to Western sanctions on Russia over Moscow's role in the Ukraine crisis, Russian Agriculture Minister Nikolai Fyodorov said Tuesday.